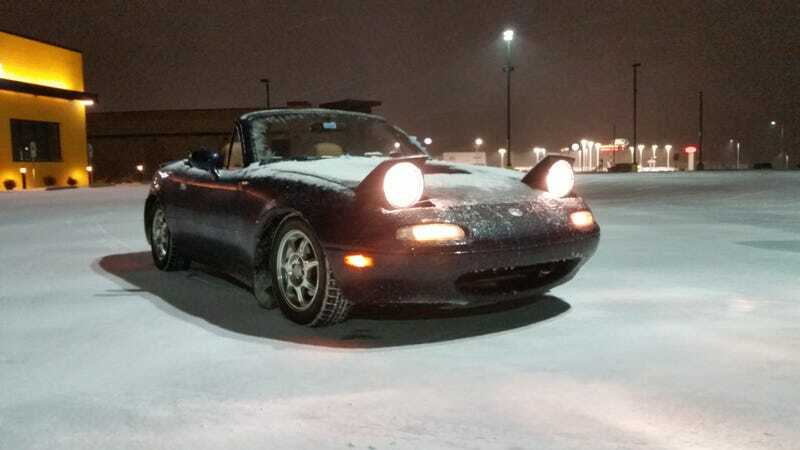 Snow covered streets, top down, Wu Tang, at 3am. Total driving bliss. The Buffalo Wild Wings in the back was closed. Probably would have gotten myself a beer and snack otherwise.